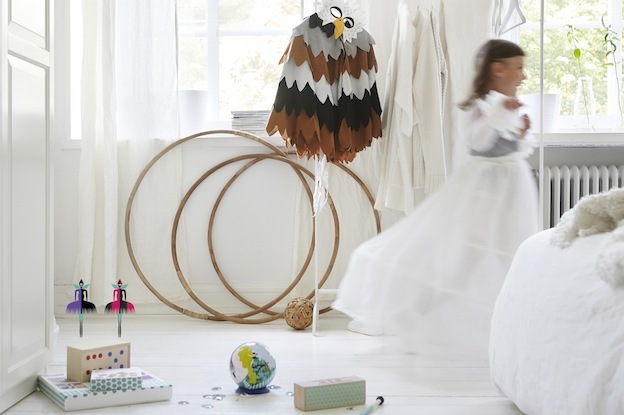 5 Ways To Turn Your Home Into Kids' Playground with IKEA! Make your Home the Best Playground for your Kids! We all know the benefits of outdoor play. Playing in open air, surrounded by nature, can help children develop their abilities for creativity, problem-solving, and emotional and intellectual development. And play is especially important in early childhood, experts say. 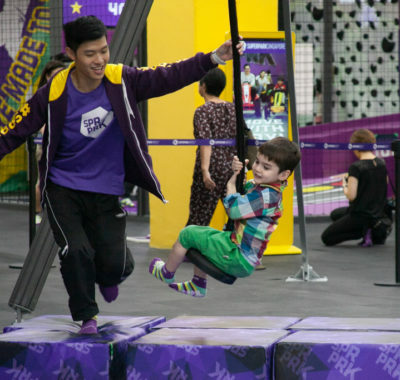 But with unpredictable weather in Singapore — too hot, too wet — the outdoors is sometimes not the best place for play. What to do then? 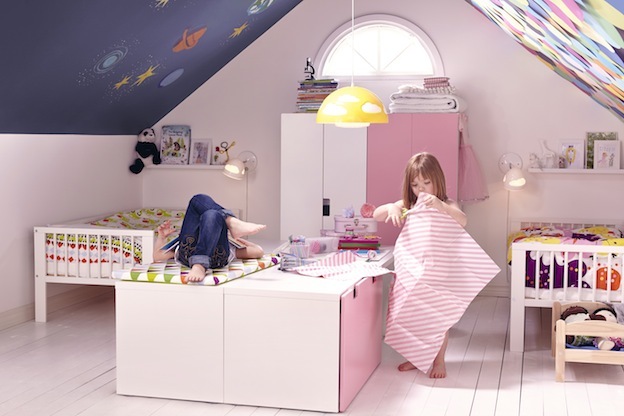 Esther Tan, Sales Leader (Children’s IKEA), IKEA Singapore, Malaysia and Thailand, has a good idea: turn your home into your child’s best playground! That way, when the skies are dark and the rain is pouring, your little ones can continue to play and learn, if not in nature, then in the next best possible place — at home! Play can happen anywhere – not just around toys. When setting up your child’s nursery or room, look for furnishing items that have safety and play built into their design, and consider how your child will play, move, relax, and sleep in the room. Get furniture that is lightweight and easy to carry, yet durable enough to handle the rough and tumble of everyday play. 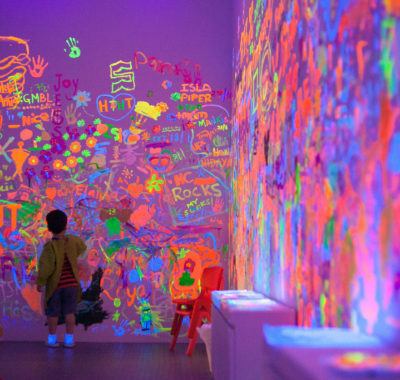 Let your child’s creativity run wild by allowing them to personalise their space and explore their identities. According to the Play Report 2015 (commissioned by IKEA), the world’s largest research study on play conducted with almost 30,000 parents and children across 12 countries, seven out of 10 parents and 60 per cent of children agree that “home should be a place for fun and play”. There is a wide range of toys, games, and puzzles that create opportunities for children and parents to play together. Think role-play toys like kitchen sets, medical sets, costumes, and music instruments. Use blankets to create tents over chairs and tables and go ‘camping’! Choose toys that are safe, durable and fun, and which help motivate kids to develop motor skills, social skills and logical thinking. Puzzles, stacking toys, mazes, and blocks can all help to develop your child’s cognitive skills. If you prefer not to buy too many of these, just look around your home. You’ll be able to find household items that can be adapted to become temporary toys. A wooden ladle and a pot can become a drum set, while building a plastic or paper cup sculpture can encourage patience and focus. Transferring smaller objects in Chinese soup spoons (plastic ones of course) from one container or bowl to another can help boost motor skills and eye-hand coordination too. 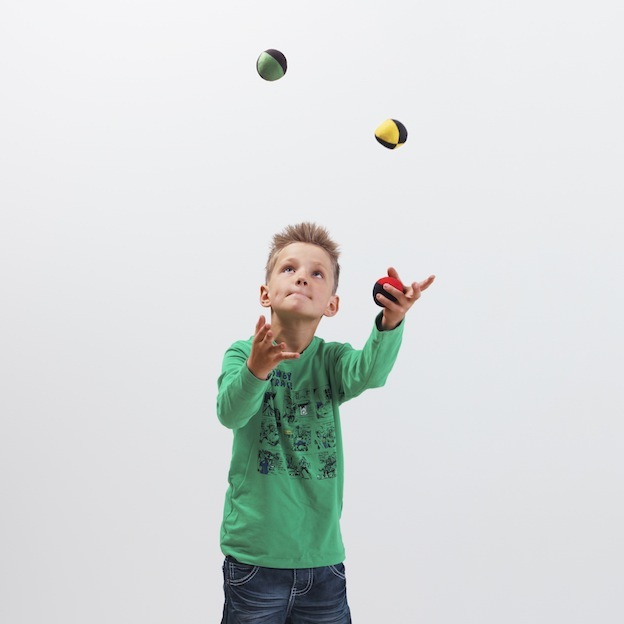 Get toys that help them practice balance, concentration and coordination, like the TRÄNING juggling set at IKEA which includes colour-coordinated rings, clubs and juggling balls. Invite the next-door kids over and start your own neighborhood circus! Toys that can be stacked or sorted according to shapes help develop fine motor skills, hand-eye coordination and logical thinking, e.g. the MULA building blocks with wagon. Let the fantasy world come alive when the little one dress up in an eagle or a robot costumes to perform in their own made-up skits. Having child-sized daily items can also help encourage role-playing and develop social skills. Think play kitchens, baking sets, and other ‘masak-masak’ items that let kids pretend-play. Remember to have enough storage spaces around the home for kids to keep their prized possessions away so that they have more room to play! 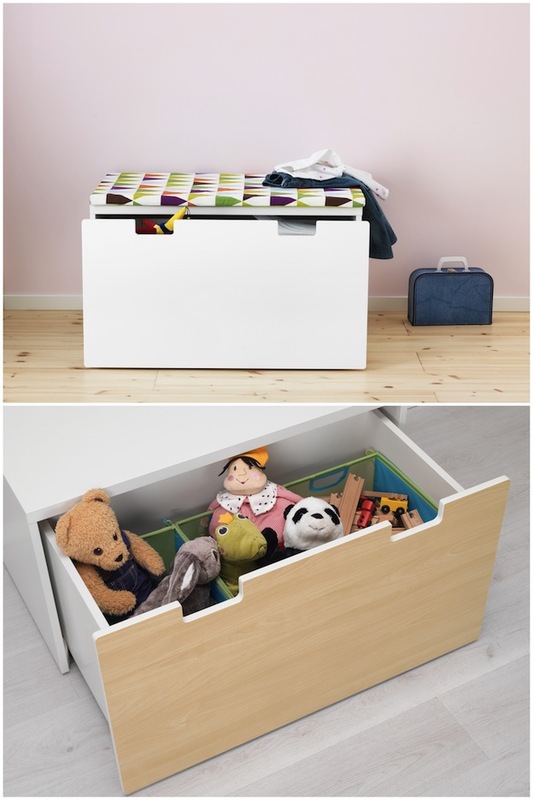 Keep storage units low so that kids can reach and organise their things easily, and be encouraged to tidy up independently. I like those stackable block shelves from IKEA, which can grow along with the kids. 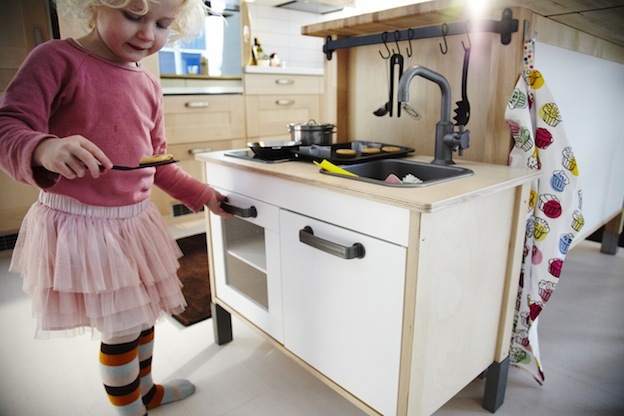 For younger ones, the STUVA storage bench is low enough and easy for children to pick up and store their toys easily. It can also be used as a bench – simply add a VISSLA bench pad. Children are curious, so think about how to create a safe environment at home for your child to explore and grow in. Ensure that that furniture and toys are made with zero-tolerance chemicals, and have rounded corners, and no sharp edges. If you are buying second-hand toys, check for splinters, chips, and loose bits that can pose a choking danger if they fall out. Finally, do remember to use safety products like corner bumpers on edges of tables and cabinets to reduce the risk of your child getting hurt on sharp corners, and finger guards for doors to prevent little fingers from getting caught. Ouch!